On Tuesday 19th June, the key stage 1 football team defeated Whitkirk Primary School at their venue. There were 5 goals each from Daniel Harris and William Randall, with Jacob Dunhill scoring 2 and Taylor Morton scoring 1. The key stage 1 team played extremely well together, showing determination and passion in everything they did. Well done key stage 1 footballers. Keep up the hard work! On Monday 11th June, our Key Stage 1 football team had the opportunity to show off our new kit, sponsored by Mr Moore, when they played their first game against Kippax Ash Tree Primary School. Kippax Ash Tree got off to a quick start, scoring two goals in quick succession. 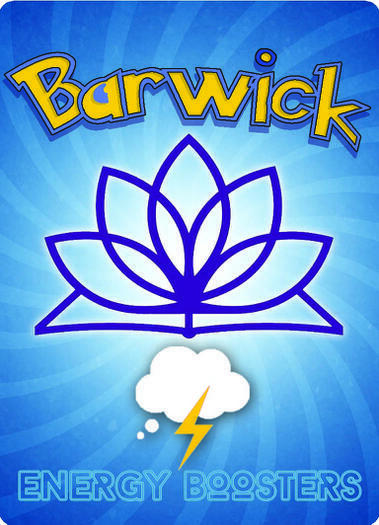 A quick response was needed by Barwick and that’s exactly what happened! A superlative strike from Thomas Parking flew past the opposition goalkeeper cutting their lead to just one goal. Some fantastic work from William Chapman, Joshua Smith, Seb Cromack and Lucas Hardcastle meant that Kippax Ash Tree found it difficult to break through Barwick’s defence, however, they managed to find a way through on the break of half time to restore their two goal advantage. It could have been more had it not been for some marvellous stops from the in form goalkeeper, Daniel Harris. Taylor Morton put his heart and soul into every Barwick attack with some lovely runs down field and fine footwork. Being 1-3 down spurred Barwick on to get another goal and their efforts were rewarded when some lovely link up play between Wilf Spinks and William Randall saw Randall pulling a great goal back for the home side. At 2-3, it was all to play for, however Kippax Ash Tree managed to score another goal and, despite a second goal from William Randall, Barwick were just pipped to the post losing 3-4. Thank you to all parents for your valued support! Well Done KS1! The Upper Key Stage 2 girl's football team were pipped to the post by Kippax Ash Tree Primary School in their football match. Despite a spirited team effort from each and every single one of the players, they couldn't manage to find a victory. Well done girls. You were all amazing! Three of our key stage 2 pupils took part in the Brownlee Triathlon Competition in May. All three of them showed stamina and endurance as they were challenged and put through their paces in swimming, cycling and running. Well done James Harrison, Leo Fox and Edward Lucas. You should all be extremely proud of yourselves! Our Key Stage 2 Kwik Cricket Team participated in a tournament at Wetherby Cricket Club. All of the children showed off their cricketing skills and got better as the day went on. In the blistering heat, they managed to make it through to the semi-final of the play off stage. All of the team worked extremely well together and set fantastic examples for themselves and the school. 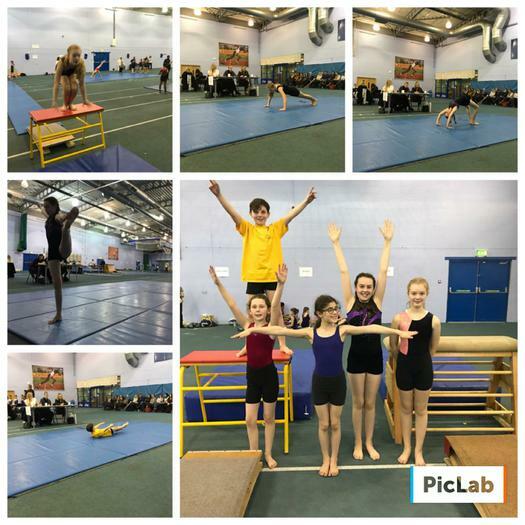 Our Key Stage 2 gymnasts had a fantastic time at the Key Step Gymnastics Competition. 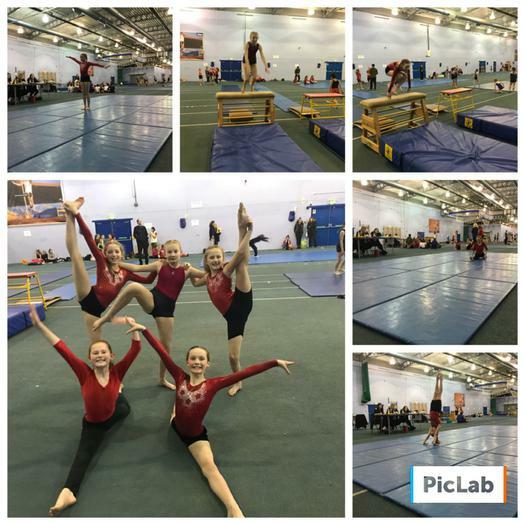 They performed at an extremely high standard, and all enjoyed competing against other teams across Leeds. Well done to all involved. You did the school and yourselves proud! Many curriculum enhancement days have been taking place throughout the year. These days have allowed pupils to participate in more physical activity outside their P.E slots, and continue to help pupils improve on fundamental skills such as balance, coordination, stamina, agility and more. Please see below at some of the curriculum enhancement days that have taken place so far. Reception and Year 1 took part in Balance Bike Day led by former Olympian, Phil Bateman. 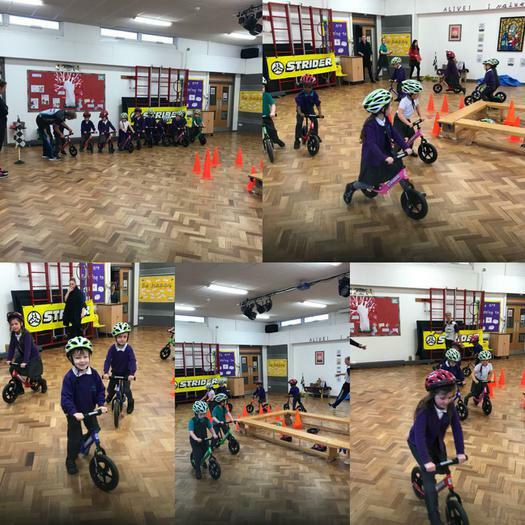 The pupils spent much of their time learning the basic skills of how to ride a bike, and by the end, the majority of pupils could ride a balance bike, with all making exceptional progress. All pupils at school took part in a Circus Skills Day. There were many workshops that took place throughout the day, with each class being dedicated to at least 45 minutes. Workshops included: walking tight ropes, spinning plates, dance routines, hoop movements and juggling. The aim of the Circus Skills Day was to enhance and develop pupils fundamental skills such as: balance, coordination and stamina. All pupils thoroughly enjoyed it and it was clear to see progression in their skills throughout the workshops. Our Energy Boosters pupil voice work alongside pupils and teachers to promote a physically active lifestyle. Some of their jobs include ensuring playground equipment is out and ready during break times, encouraging pupils to join in activities such as skipping, looking at ways to enhance the school grounds to make it more physically accessible and keeping an eye out for those pupils being physically active. 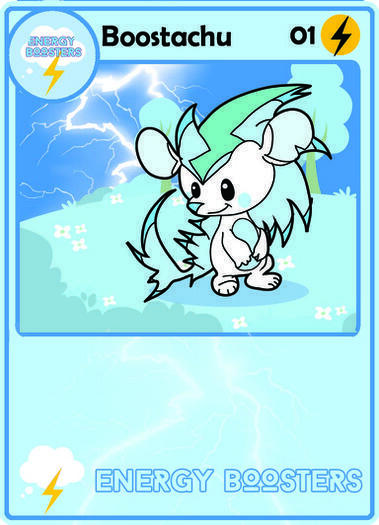 They have also introduced their own Energy Booster cards, which they give to a Key Stage 1 and 2 pupil who have been physically active during the week. Please take a look at the cards that pupils can be awarded during achievement assembly. We are now official partners with Leeds Trinity University through their Children's University Scheme. This scheme gives recognition to pupils who are learning through a variety of out-of-school hours clubs and visits. Pupils can buy a Children's University Passport from the school office for a reduced rate of £2.50. Stamps are collected for each after-school club or external visits to different learning destinations. Please see the letters attached below for more information! Sporting Spirit Certificates have been introduced into our Friday Achievement Assembly. A pupil in each cohort has the opportunity to win an award in recognition in regards to their participation in physical activity. The participation may be recognised in: P.E lessons, Active Learning Lessons, Break Time and Lunch Times or After School Clubs. The certificates focus on 6 key areas, which are: Honesty, Determination, Passion, Respect, Self-Belief and Teamwork. Since the introduction of the certificates, pupils and staff have noticed an increase in pupils regularly taking part in physical activity and a sporting profile is continued to be developed throughout the school. Take a look at the certificated below with a brief description.